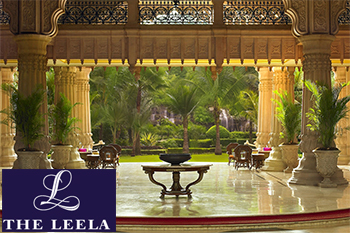 Shares of Hotel Leela continued the downward trend on second consecutive day as there is no further development and clarity on Minor International acquiring a major stake in the company. Shares of Hotel Leela were down 5% on second consecutive day as there is no further development and clarity on Minor International acquiring a major stake in the company. Shares of Hotel Leela also nosedived 10% intraday on Friday (30 November, 2018) after doubling in the previous week on the news that a consortium comprising Thailand’s Minor International (Minor) and Trinity White City Ventures planned to invest ~Rs2,500cr (or $350mn) in Hotel Leela Venture. Read more. In the past one year, Minor had aggressively bid for marquee properties across the globe, and its proposed acquisition of Leela will reportedly be funded by a mix of equity and debt. “Minor is always on the lookout for good investment opportunities, which includes Hotel Leela Venture. But nothing is set in stone. We are currently exploring the option,” Dillip Rajakarier, CEO of Minor’s hotel unit, told The Wire. Minor has been expanding through acquisitions, spending $2.6bn in current calendar year to take control of Spanish chain NH Hotel Group. Hotel Leela Venture Ltd is currently trading at Rs13.80 down by Rs0.7 or 4.83% from its previous closing of Rs14.50 on the BSE. The scrip opened at Rs14.10 and has touched a high and low of Rs14.50 and Rs13.80 respectively.